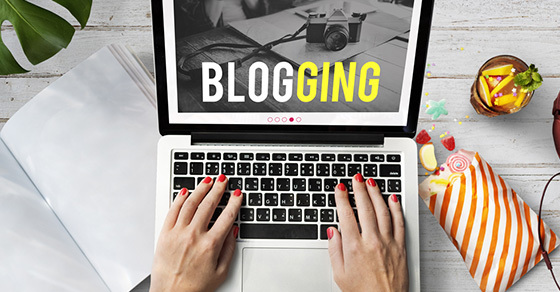 Blogging as part of your businesses online marketing strategy can be both fun and rewarding but it is also a lot of work. To keep yourself from falling behind or getting discouraged along the way, it is important to have a strategy in place. Figure out what your goals are and identify some tactics to help you achieve them. To help get you started, follow these 5 rules. A successful blog will build a comfortable community that encourages comments and feedback as well as social sharing. Encourage your readers to interact with each post by sharing relevant stories, asking questions, or leaving feedback and be sure to respond and keep the conversation going. Follow related blogs and leave interesting, engaging comments on posts that are relevant to your interests and the interests of those you wish to attract to your blog. By engaging with this already established community you will have an opportunity to attract the readers you desire as well as making good industry connections that you can use for guest blogging. Don’t forget to reach out to your fledgling community through social media channels such as Facebook, Google+, and Twitter and take advantage of Google Authorship to help boost your authority. Before you can really build your community, you need something to offer people so write content that you would find interesting. Share your own experiences or address FAQs from customers. Share trending topics and put your own spin on it. Remember, if your blog post is not in some way improving the life of your readers, they are less likely to return. Keep your content concise: now that everybody is online all the time they are busier and more easily distracted than ever before. By dividing your content into short pieces that can be consumed easily while on the go you encourage readers to come back for more. Once you have built up a readership, be sure you don’t lose your steam! Discipline will be crucial for breaking past barriers like writer’s block to maintain the community you have built and you will need to spend time reading comments and replying to relevant conversations. Certainly the most fun part of blogging, the possibilities here are practically endless. As long as your blog is accessible, user friendly, and search engine friendly you can allow the personality of your company or experts shine through. To stand out you will need to be unique and engage your community on a personal level so start with a blog design and topics that really speak to the character of your brand.